It’s best to leave significant mold removal work to mold remediation professionals who can fully identify hazardous mold growth, eliminate it, and prevent it from returning. In Gwinnett, Georgia, that company is Abatement Solutions, Inc. Known as the mold removal company of choice for a diverse range of realtors, commercial and residential property owners, and management companies alike, Abatement Solutions has the utmost expertise in all aspects of mold remediation. To begin the process of making your property a healthy environment, we will first conduct a thorough visual assessment of the building, inspecting the locations in the structure that would most likely facilitate mold growth, such as a basement or attic. We will also have air samples tested as needed to confirm the presence of unseen mold contaminations. Contain the mold problem – Our mold removal team will isolate large instances of mold growth to prevent mold spores from traveling into other parts of your home and spreading the contamination. To quarantine the mold, we’ll set up plastic barriers, put the contained space under negative pressure, and use the air scrubbers’ HEPA filters to remove mold spores from the air. Clean and disinfect the mold – We’ll use highly effective, EPA-registered cleaners to kill the mold and fully remove it from your property. Powerful enough to be used as a hospital disinfectant, the mold removal solution we use will also kill a wide range of other dangerous pathogens to support a hygienic indoor environment. Prevent future mold growth – We’ll spray a preventative mold-resistant coating on any unfinished surfaces in your property that face the threat of mold growth. Available in both clear and white color options, the protective spray will blend in with the walls but provide years of robust mold protection – in fact, we back it with a 10-year warranty. 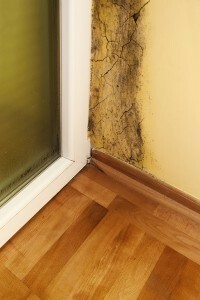 To discuss your mold removal needs, contact The Mold Experts! at Abatement Solutions today. We will assign you one dedicated point of contact at our company who will keep you up to date at all times on the status of the mold removal treatment in your home or business in Gwinnett, GA.